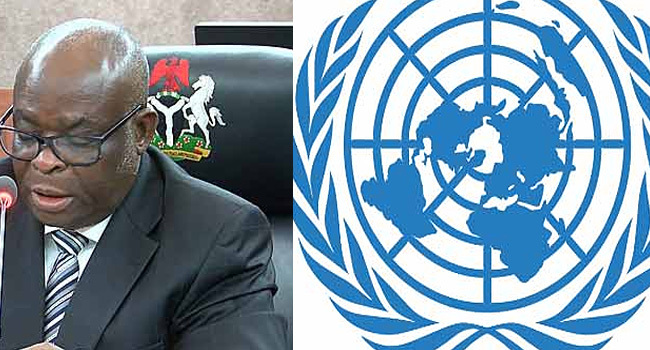 The UN Special Rapporteur on the Independence of Judges and Lawyers, Diego Garcia-Sayán, has warned the Federal Government that the suspension and replacement of the Chief Justice of Nigeria (CJN), Walter Onnoghen, is in contravention of international human rights standards on the independence of the judiciary and the separation of powers. Mr Garcia-Sayan stated this in a statement on Monday. Garcia-Sayán said that President Muhammadu Buhari had acted in compliance with an order issued two days earlier by a tribunal established under the Constitution to decide on alleged breaches of the Code of Conduct for Public Officials, four separate Nigerian courts – the Court of Appeal, the National Industrial Court and the two Federal High Courts – had already ordered a stay of proceedings in the Tribunal. According to him, the said order upon which the suspension was based, was issued ex-parte while the motion on notice on the same subject was adjourned the day before by the issuing court. “All State institutions must abide by the decisions of national courts and tribunals. In the case of Chief Justice Onnoghen, four national courts hierarchically superior to the Code of Conduct Tribunal had already ordered a stay of proceedings, and the Tribunal had in a previous case, 8 months earlier, held that it lacked jurisdiction over cases involving judicial officers, which should be processed by the National Judicial Council,” Garcia-Sayan stressed. He noted that some of the judges handling the case of the Chief Justice and the defence lawyers have been subject to serious threats, pressures and interferences. “I am seriously concerned at such allegations, which may constitute if proven, grave attacks to the independence of the judiciary and the free exercise of the legal profession,” said the expert. “One of the senior advocates defending the Chief Justice was arrested on Wednesday by security agencies. Lawyers play an essential role in securing access to justice, and should never suffer, or be threatened with, prosecution or other sanctions for action taken in accordance with recognized professional duties, standards and ethics,” he added. He further added that he is worried about the development of things in the judiciary and will continue to follow the events.